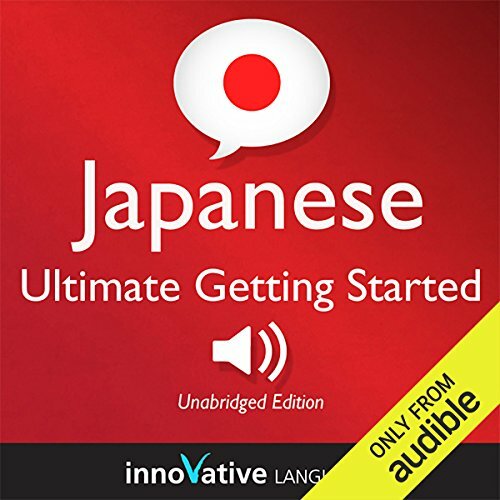 Start speaking Japanese in minutes, and grasp the language, culture, and customs in just minutes more with Ultimate Getting Started with Japanese Box Set, a completely new way to learn Japanese with ease! Ultimate Getting Started with Japanese Box Set will have you speaking with proper pronunciation from the very first lesson and arm you with cultural insight and other information to utterly shock and amaze your Japanese friends. 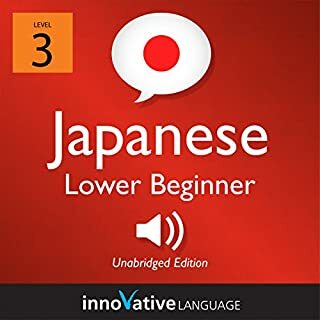 This Box set includes our Learn Japanese - Introduction to Japanese and Learn Japanese – Gengo Beginner Japanese audiobooks. 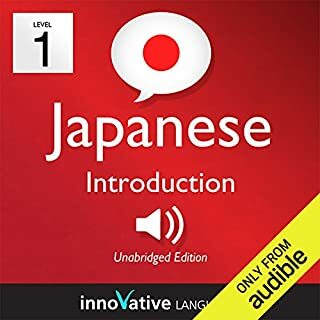 A lot of this book is already available for free on the JapanesePod101 podcast, so I feel kind of bummed that I paid for this audiobook, given that I've already listened to many sections of it. Buyer beware, the material is being offered for free by Innovative Language free elsewhere. I absolutely love this audio book!! It had an American guy paired with a Japanese woman. The guy has been living in Japan for 11 years and the woman sounds so adorable, especially when she laughs. They not only tell you how to speak Japanese but they tell you about the culture and the island. The American talks about some mistakes he made and what other foreigners tend to make. I love that they have a conversation, then say it again but enunciate each syllable of each word, then they explain what it means. I think a key aspect of helping someone learn a new language is enunciating and saying words slow enough for them to pick u the different sounds. Especially if the language has sounds that are not available in English. 1. This has lots of playful banter. I thought it was all right as I think it is intended to motivate you to stick with it. If you are a more serious student you may hate this. As a light easy podcast it would work. I recomend going to their website, trying out their free introductory podcasts and if you like it continuing there. 2. I felt the order in which they introduced words was reversed. First, in full converstions at full speed, then slow speed, then the meaning of the new words. I often would have to rewind at that point to the beginning to try and "hear" the all the words in the sentence and not just a long string of sounds. 3. The lesson and pdf reference all mention appendixes that go into detail. It isn't in the downloadable pdf nor can I find it on audible, nor on the non-member section of Japanese pod 101. This is a glaring ommision, as they cover only time words in their sample conversation and then say look at the appendix for all the time related words. So I know how to say half past six and four in the morning but not any other times. This is the main reason why I say this is a crude adaptation, they have overlooked including the appendices, which are essential to this course. 4. Finally there are no chapters, so you can't jump from lesson to lesson, just rewind and forward through all 17 hours of audio. This is annoying, especially in light of point #2. Was Learn Japanese - Ultimate Getting Started with Japanese Box Set, Lessons 1-55 worth the listening time? It depends. 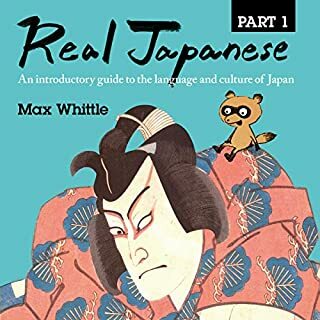 I would reccomend it as a quick refresher prior to traveling to Japan for cultural points and a few useful stock phrases. If you are interested in learning the language in a systematic complete way, I would look for something else, or consider joining the japanese pod 101 community. The content doesn't only cover the language, but thay added the culture and tips to get you through Japan with ease. Highly recommended!! You've been saying Sensei wrong all your life. This course is for absolute beginners or people who know the basics of basics of Japanese. Pronunciation is handled by a native japanese speaker and covers some of the most basic common mistakes people can have, while not calling them mistakes. What does Peter Galante and Naomi Kambe bring to the story that you wouldn’t experience if you just read the book? It made me cry with some scaling in difficulty. In one lesson you learn "How much does this cookie cost?" and in the next lesson "Your hotel room is 108, breakfast is served at 7:00 am with this breakfast ticket". While it might not sound so drastic, the learning curve is brutal. Get it, but download the reading material PDF for the phone, it will save you hours of not understanding something because while it was touched upon in the lessons themselves, down the line not memorizing things like numbers, particles or counters really lags the lessons. Would you listen to Learn Japanese - Ultimate Getting Started with Japanese Box Set, Lessons 1-55 again? Why? For sure. It makes the learning process so much easier. What was one of the most memorable moments of Learn Japanese - Ultimate Getting Started with Japanese Box Set, Lessons 1-55? The conversations about food, and the immigration conversation at the airport. the immigration one at Narita. Haha no, but it made me learn a lot. I totally recommend it, I take Japanese classes and this helped me so much! 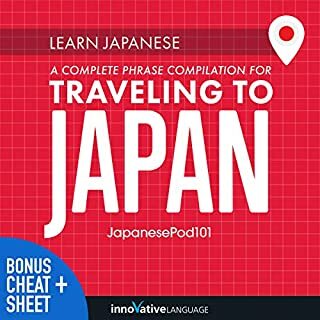 Where does Learn Japanese - Ultimate Getting Started with Japanese Box Set, Lessons 1-55 rank among all the audiobooks you’ve listened to so far? I like how they broke down the words and slowed it down to make it clear. They also took the time to explain not only the language but culture interpretations and writing. Even people who have trouble picking up languages will be able to learn from this book. Did Peter Galante and Naomi Kambe do a good job differentiating all the characters? How? Peter Galante was very good. He didn't rush and never forgot to explain things. Naomi Kambe was good for the most part; however her giggles seemed forced, contrived, and not genuine. Also some of the other sounds she threw in made it sound little porny (little humms that sounded more like groans). Although some people out there listening to this may not mind, or even like, this. Overall, both narrators were pleasant and easy to listen to for the lengthy period of time this book takes to go through. Both Peter and Naomi are excellent teachers and a credit to this instructional lesson. I enjoyed listening to it for the most part (did my best to tune out Naomi's little humms) and learn from it. When throwing in non verbal sounds you need to be careful that they don't come out sounding like something you'd here in an R rated movie. 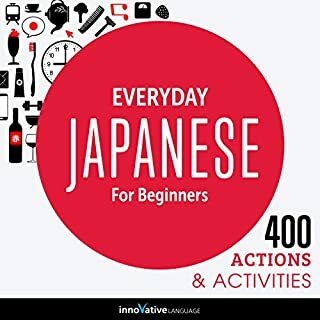 It is foolish to think you can learn to speak any language without real interaction with teachers or native speakers, so taking live classes really becomes a necessity at some point, but using this audiobook as a complimentary way of practicing, improving vocabulary and learning grammatical points is a great way to improve your Japanese or at least learn expressions you can use to get you stated. The one thing it lacks is a chance for the listener to practice what they have learned, since mostly you listen, and the main interaction you get is repeating single words or short expressions. The actors are pleasant to listen to, the material is engaging and very rich in Japanese culture and applications for the material learned. I am very happy to have found it to assist me in my learning and will purchase other books from the same series. I wish there was a clear way to determine the order in which the publisher expects us to use the books in the series, since they seem to be randomly numbered at times. This one is definitely a keeper though. very useful but it's very US focused.they keep referencing the US or being American etcetera instead of other places. A lot of time is wasted on vapid dialogue between the the two teachers. I am on chapter 18 and have learned very little. Well, to start this review I have to say that I was not expecting results. My shock was that this is a very educational language course ! You learn not only the language but also the culture and customs of Japan. I am soo pleased to have purchased this. I have progressed both in the Japanese language and also the culture! Packing my bags to go to Japan! As a total biginner of trying to learn a second language, I found this series of lessons extremely informative and easy to follow. 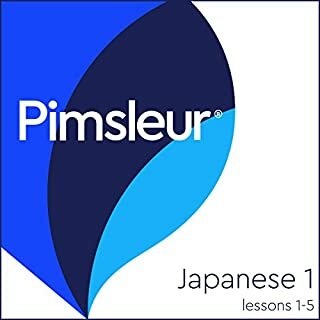 I would recommend this series to any and all wishing to learn Japanese. It not only teaches you the basics but also some of Japan's history and culture. Well worth it. I will be listening to these lessons again and again. Just brilliant. I feel a bit like the main character after finishing this book. I am grateful for the experience, but I'll miss everything about the book. The colourful and funny characters, the insights, everything. There is nothing bad about this book. It helped me so much with my Japanese journey that I can't even tell. I am over 40, so learning a new language definitely has its challenges. But with the help of this book I am much more confident to start a new conversation. I'll definitely continue up learning. Thank you to the authors, fantastic book. Innovative language Japanese slows the pronunciation and adds extra syllables which are not spoken at normal speed, to the point where it is unintelligible. It should be as simple as learning "wax on, wax off", then speeding it up. But if "wax on, wax off" have extra bits you don't use at normal speed, it doesn't work.